With HDR 1000 certification, you get superb brightness and color accuracy. DisplayHDR certification assures consumers of an excellent standard of monitor performance, but none have received the top level -- until now. Philips' 43-inch Momentum (436M6) is the first to get HDR1000 approval, guaranteeing a superb 1,000 cd/m2 brightness, deep blacks, 10-bit color depth and an HDR-compliant color gamut. To pull it off, Philips used Quantum Dot tech, much like Samsung uses on its QLED TVs and monitors. It also features Ambiglow technology that puts a halo of light on your walls and floor, matching the content on the screen. The beauty of DisplayHDR is that you don't even need to look at a product's specs to know what you'll get. There are three standards, DisplayHDR 400, 600 and 1000. At the HDR 1000 level, it must put out at least 1,000 cd/m2 of brightness, or 600 cd/m2 over a long duration, around two to four times what you're getting on your current display. All DisplayHDR levels must also support a 955:1 contrast ratio, 10-bits per color of image processing, and cinema-quality color gamuts. Naturally, these specs are ideal for watching HDR movies on Blu-ray or Netflix, but also for creating such content in the first place. As such, Philips is offering something called MultiView, which lets you simultaneously connect a PC and set-top box, for instance. That way, you can easily switch between watching Stranger Things and, say, color-correcting Stranger Things, if you happen to work on that show. 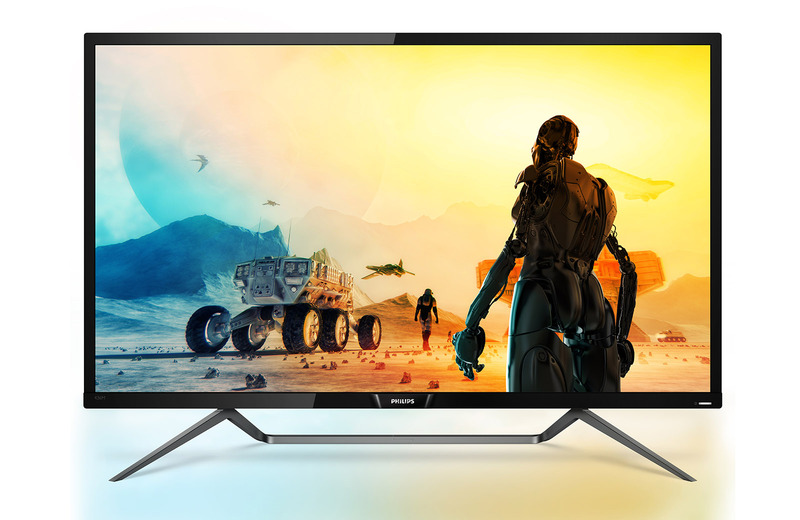 The Momentum 436M36 isn't cheap at $1,000, but it's in line with the price of other DisplayHDR monitors like the smaller HDR600-certified, $450 HP Pavilion Gaming 32 HDR display. It will arrive sometime this summer.